Hyperbaric medicine is like those monsters of the now old black and white films that we saw with so much expectation, astonishment, and sometimes fear, because, like them, it has emerged from the depths of the ocean, and like them, it has always been clothed with an aura of ignorance, fascination, amazement, and also fear, arising in modern times (I will omit the historical data that deserve a separate chapter), this therapeutic agent arises from commercial diving, and military institutions, the armed forces integrated by the navy and the army from various parts of the world. Having been used for applications that are now known, lack of foundation, hyperbaric medicine, today it has a widespread aura of skepticism, around it, skepticism fueled by misunderstandings, poorly written reports, and exaggerations that have diverted public attention of the real role in therapeutics. Each country has taken this therapy to its own style, while some countries have simply let the market decide whether this technique survives or not (to the extent of charging every minute used in the chamber, without any other indication that the curiosity to try this device by the consumer or client) and with very little or no regulation on the part of the health authorities. In others, the regulations have been intended to be so strict that they are impossible to comply with, or the idea that hyperbaric services should be carried out only by public health institutions dependent on the state is believed, which generates problems of budget allocation, present in an institution of this type, which translates into abandoned facilities, failure to pay for oxygen supply, programming of patients in cycles inadequate that do not help the underlying problem (ex. one session every 30 days, for a diabetic foot), and the always latent fail of not training the doctors who are part of these institutions about the benefits and risks of this technique, which generates reactions of rejection due to ignorance, and in other countries, the introduction of this technique is allowed openly, as part of a protocol of support to other therapies, for example, in the case of postoperative recovery in surgical interventions, or in the case of recovery from sports injuries. 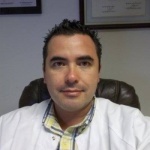 Some researchers, who fortunately have recovered from this or that disease, thanks to hyperbaric, become staunch defenders of the technique, but only in the case of patients suffering from their own disease (Richard Neubauer, considered the recovery of embolism or cerebral infarction as the most important and useful indication of hyperbaric oxygenation, because it recovered satisfactorily from a cerebral vascular event problem), although these facts are very fortunate, this constitutes a tremendous bias of appreciation on the part of a patient, a researcher that should be impartial. 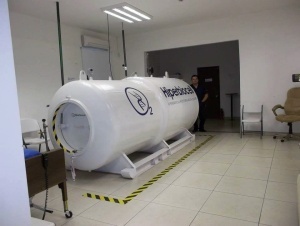 However, hyperbaric oxygenation has advanced a lot in the last two decades, thanks to the increase in the number of publications duly recorded and registered to which the scientific and medical community have had access, and which have established, with a precise scientific rigor, the functional and physiological bases of this discipline. Today, hyperbaric oxygenation, has great growth in Russia, and in the United States, having more than 200 hyperbaric chambers in the first, and more than 350 in the second, with thousands of sessions, applied daily, and a few or no incidents. Ask me, if hyperbaric medicine can help you with your health problem, and how I can it help you, I am at your service.